The two parties held a joint press conference at Parliament on Monday. 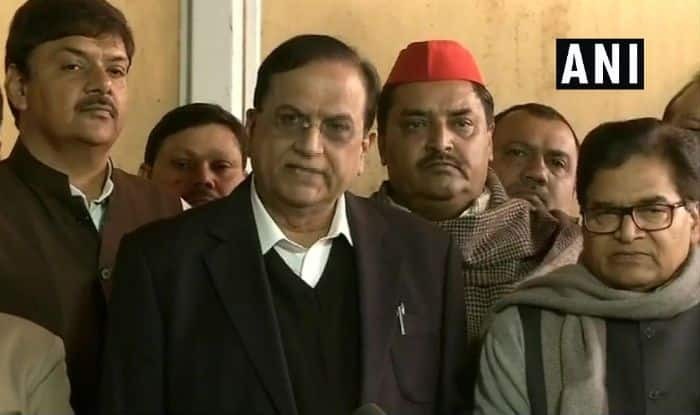 New Delhi: In a show of solidarity, the Samajwadi Party (SP) and the Bahujan Samaj Party (BSP) held a press conference at Parliament on Monday where they came down heavily on the BJP government in Uttar Pradesh over the CBI probing SP chief Akhilesh Yadav in illegal mining case. His colleague Keshav Prasad Maurya had added that the SP-BSP alliance wouldn’t affect their party. “We have nothing to say on it (SP-BSP alliance) nor will we be affected. The country is firmly with Modi ji and people want to see him as the PM again,” he had said.